Obrigada Sabrina e Kissme Corsets. Super participando dos seus concursos. @Jennifer KarolyneCom certeza, querida, já estou seguindo! 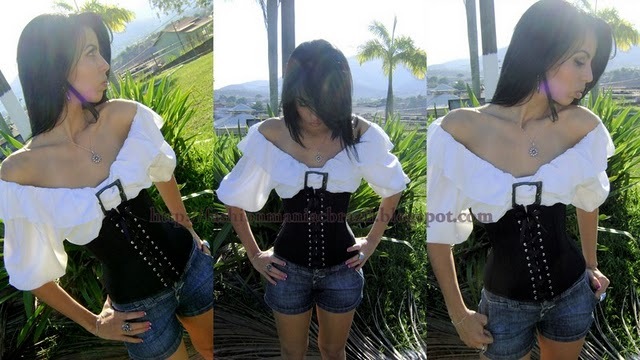 Fiquei feliz que fui a sorteada,voce ficar ainda mais na torcida pelo corset! super boa sorte para vc!! Although, I am personally not a huge fan of corsets I like that you wear it with so much confidence. It shows that what I like doesn't have to look bad on someone else. Keep on going with this!